Location was amazing at 50m from the Strip and shops. The location was great. The beds were comfortable. Despite the looks, the room is huge and very comfortable. The location is great. Bed was comfortable and clean. Location was fabulous. Good price for the location. The room was quite old but clean. Location Location Location! 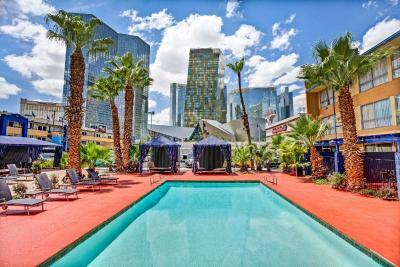 One of the best location in Las Vegas for its price, near some restaurants like Panda express, Buffalo wings, McDonald's etc. 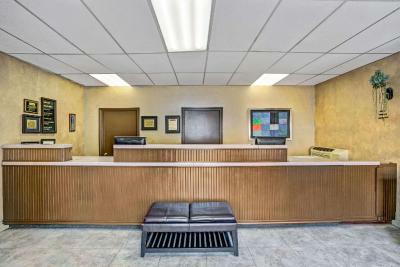 Location and at the time of booking was reasonably priced. The location is fantastic! They had a good breakfast that is included in the price of the stay. The staff are nice, there was parking and easy access to it. There was security on the property so it felt safe. The property itself is quite old but it is actually quite cool to stay there as is nothing of its kind on that part of the Strip. Location literally on Strip, super close to all places to go. Quite old interior but very clean. Included little breakfast, but closes at 9 am. Everything was good, service amenities etc. Nice fridge, good wifi, cable TV was good. 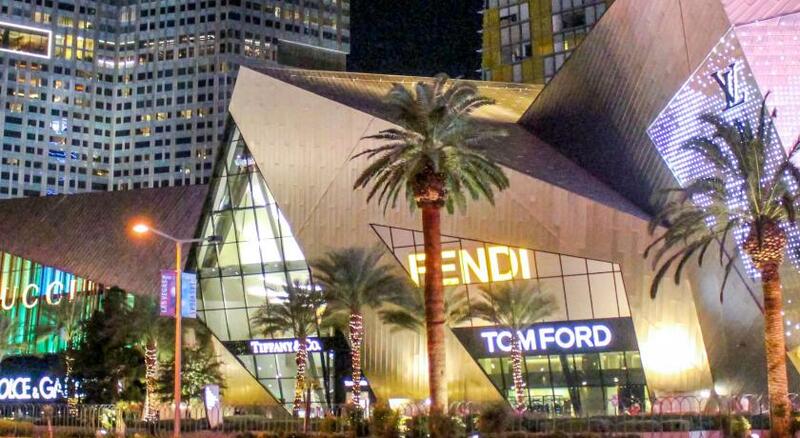 One of our top picks in Las Vegas.Located on the Las Vegas Strip and just half a mile from the Bellagio fountains. 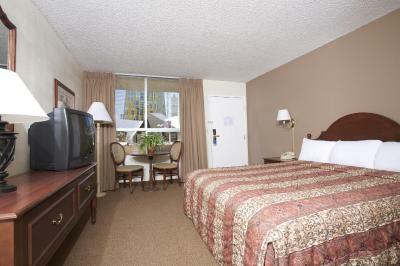 Rooms feature free WiFi and cable TV with Showtime film channels. 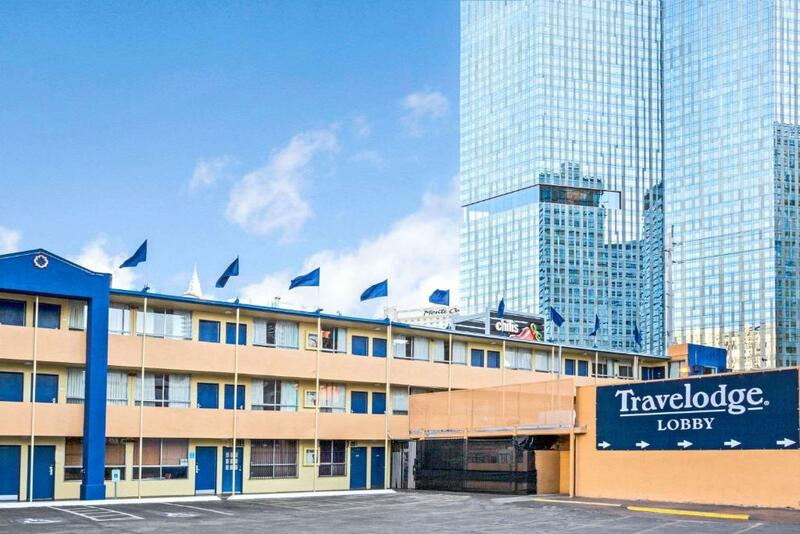 Tea and coffee-making facilities are included in each room at Travelodge by Wyndham Las Vegas Center Strip. A laptop safe box, safety deposit box, and free toiletries are also provided. 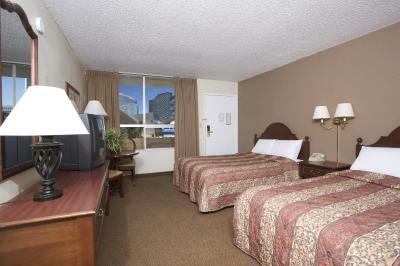 An iron and ironing board are provided in each room for convenience. Guests can take advantage of the 24-hour reception, business centre and gift shop offered on site. 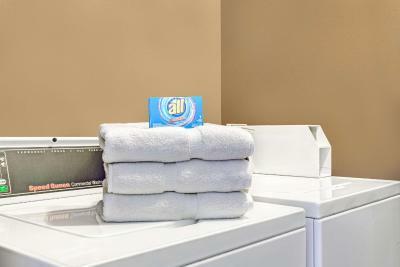 Laundry facilities are available at the Center Strip Travelodge. 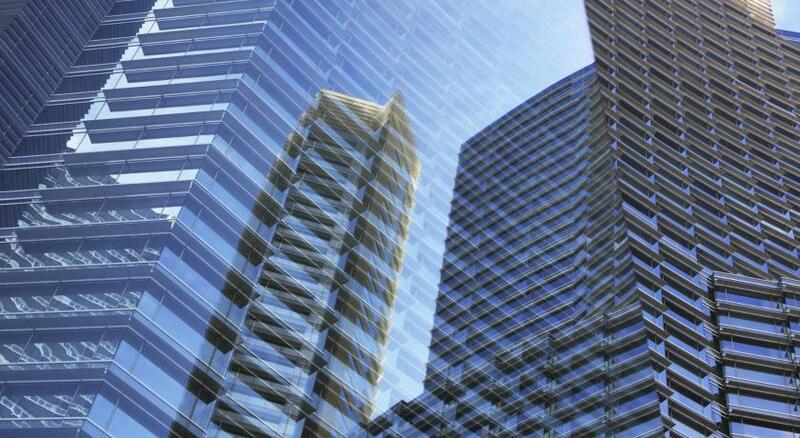 The Mandalay Bay Convention Center is 5 minutes’ drive from Travelodge by Wyndham Las Vegas Center Strip. TAO Nightclub is less than 10 minutes’ drive away. 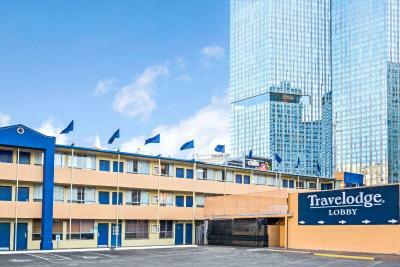 Travelodge by Wyndham Las Vegas Center Strip has been welcoming Booking.com guests since 8 Mar 2010. 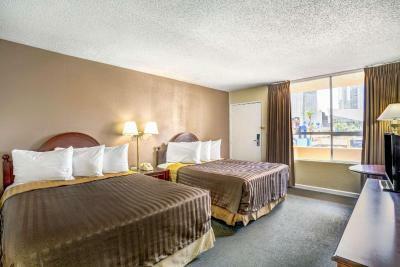 When would you like to stay at Travelodge by Wyndham Las Vegas Center Strip? This air-conditioned king room is equipped with a TV and tea and coffee maker. A safety deposit box provides additional room security. 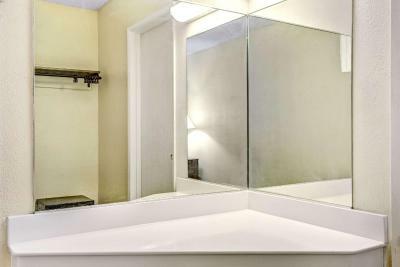 A hairdryer is included in the ensuite bathroom. 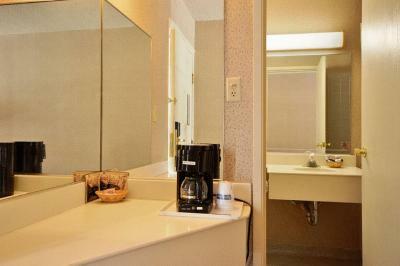 This air-conditioned queen room is equipped with a TV and tea and coffee maker. A safety deposit box provides additional room security. 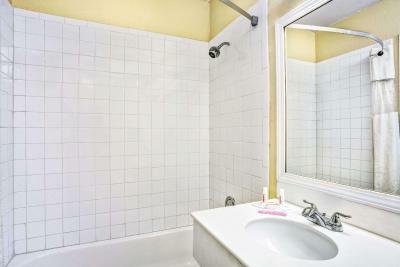 A hairdryer is included in the ensuite bathroom. 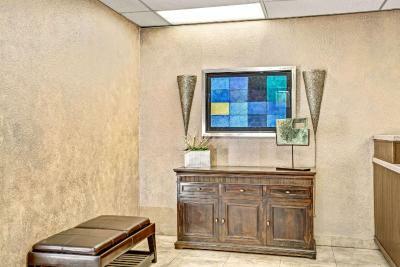 Featuring views of the Las Vegas Strip, this air-conditioned king suite is equipped with a TV and tea and coffee maker. A safety deposit box provides additional room security. A hairdryer is included in the ensuite bathroom. This air-conditioned king room is equipped with a telephone and alarm clock. Free toiletries are included in the ensuite bathroom. 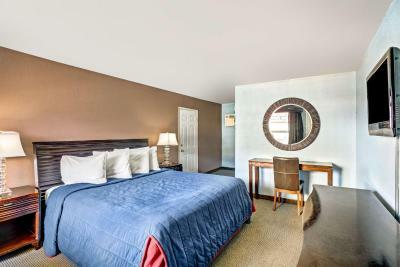 Featuring pool views, this air-conditioned superior room is equipped with a telephone and alarm clock. Free toiletries are included in the ensuite bathroom. 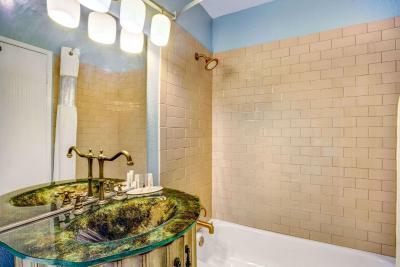 Featuring pool views, this air-conditioned room is equipped with a telephone and an alarm clock. Free toiletries are included in the ensuite bathroom. Begin your day with our free Bear Bites continental breakfast, then escape the heat in our refreshing outdoor swimming pool or relax in one of our beautiful cabanas overlooking the pool. 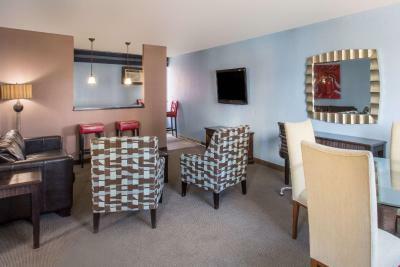 House rules Travelodge by Wyndham Las Vegas Center Strip takes special requests - add in the next step! Travelodge by Wyndham Las Vegas Center Strip accepts these cards and reserves the right to temporarily hold an amount prior to arrival. 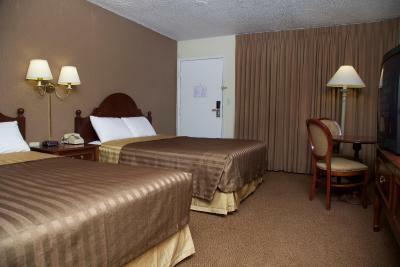 Please note: We charge $1.50+ per night for a safe warranty that is applied to all of our rooms. THE PHOTOS ONLINE TO MAKE THE RESERVATION WERE EXTREMELY MISLEADING. EVERYTHING WAS OLD AND WORN DOWN AND DEFINITELY NOT AT ALL WHAT THE PHOTOS SHOWED. THE BED WAS BROKEN, ONE SIDE TILTED AND FELT AS IF I WAS GOING TO FALL. THE LIGHTING IN THE ROOM WAS HORRIBLE. I ALMOST SLIPPED IN THE SHOWER. JUST WALKING AROUND IN THE ROOM MADE THE BOTTOMS OF MY FEET COMPLETELY BLACK!! IM NOT SURE IF THE CARPET DOES NOT GET CLEANED OR WHAT CAUSES THAT BUT IT WAS DISGUSTING FOR THAT TO HAPPEN JUST FROM WALKING INSIDE THE ROOM! IVE STAYED AT CLEANER MOTELS THAN THIS. I WAS NOT PLEASED AND WILL NOT COME BACK. See statements above. Trash on patio and grounds. Scuffs on furniture and walls. Comfy bed and right in the strip. The walls and furniture are beat up and a wind storm may have caused trash to accumulate around the grounds but the pool area was nice and we slept well. It was a cheap room with the necessities. Wish there was more pillows and a few things in the room were broken. Location was great, walking distance from everything. Staff friendly & helpful. You can hear the next room walls are thin. The staff is amazing and the room ain’t fancy. Is it what you pay for. If you looking for a room to just come back and knock out after a night of fun this is it. It was a great price to hold my clothes because I was on the strip the whole time... 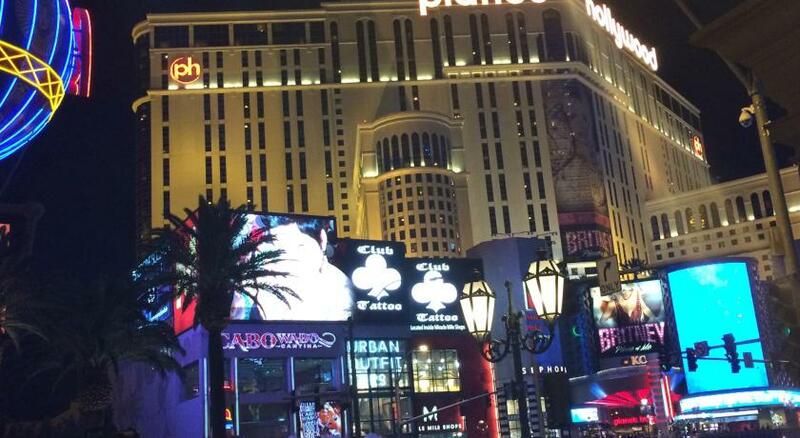 I was steps away from everything...no major walking to get out of a hotel and to the strip... Location Location Location is everything! All the staff were AWESOME! The bathroom has seen better days and 3-4 years overdue on refurbishment! Beds were a little "hard" for my taste. And being spoiled with my pillows at home...the pillows at the hotel were a little uncomfortable...but I'd stay again anyway. "Location, location, location!" It was almost comical to walk out our door...and see 'Aria" right there, which is where our conference was. We simply walked across the street. Everything was right there!! Restaurants, even the "half price" tickets was a block away. Being next to Planet Hollywood was a huge plus for finer dining. Room was absolutely disgusting but at least the bedding was clean. It was run down, bathroom was dirty, paint was cracked and falling off the wall,bath tub was painted over and paint was cracked off and in the drain.. the carpet was DIRTY. Don't walk barefoot on it or your feet will be black from the dirt.. AC unit looked like it wasn't cleaned in years.. And the free breakfast was just a bag with bottled water, an orange and granola bar.